The eagerly-awaited v3.50 PlayStation 3 firmware update that will bring support for 3D Blu-ray will be rolled out on 21 September. The announcement of a release date was made at the Tokyo gameshow, with Sony also teasing a 'few additional features' beyond the 3D Blu-ray support. "Hi everyone, I wanted to share some news out of Tokyo Game Show," blogged Eric Lempel on the official PlayStation Blog. "We've announced that the PS3 system will be able to play back 3D content on Blu-ray 3D discs with the next system software update (v.3.50), slated for release on 21 September. "We know that many consumers have purchased 3D TVs already and more of you will be purchasing them as the holidays approach – so we're excited to offer this firmware update that makes all 38 million PS3s worldwide compatible with Blu-ray 3D discs. "This new feature expands the PS3's 3D capabilities – as you may recall, we added the ability to play stereoscopic 3D games with the 3.30 firmware update in April. "While support for Blu-ray 3D discs is the primary new feature within the 3.50 update, there will be a few additional features." 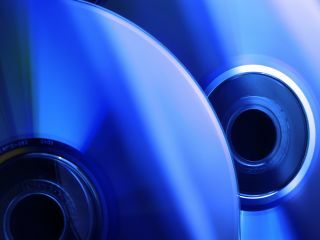 The PlayStation's Blu-ray support has always been a major buying point, and the company's support for 3D Blu-ray will no doubt hand the console another boost in the market.